Students entering at Year 7 to 9 will be required to either purchase an iPad through the College or bring their own iPad for use at school. The iPad offers our students a device that is innovative, fast, has excellent battery life and fully integrate with the Google Apps for Education Suite which is used widely at North Geelong Secondary College. Note: No other devices other than those listed above or on the BYOD Device Portal will be supported or connected to the College’s network. The College has negotiated with vendors for both Apple and Chromebook devices to provide our students with a web portal to make their purchases. These vendors are able to provide competitive pricing and improved warranty terms only available to educational institutions. 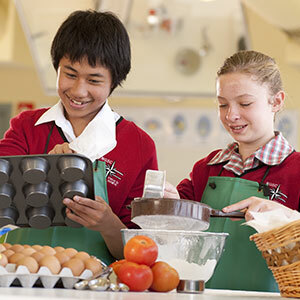 The North Geelong Secondary College Student Digital Device Program is an exciting opportunity to improve student engagement and promote even greater academic achievement, by providing teachers and students new ways to learn and collaborate. The students’ iPad or approved device can be connected to the College network and home network (using your family’s internet connection, where available). Whilst this presents a great learning opportunity, it must be used responsibly. 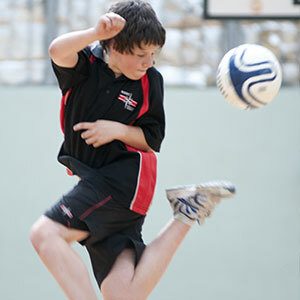 We expect our core values of respect and integrity to be reflected in every aspect of our students’ lives, and this extends to their electronic communication with others. 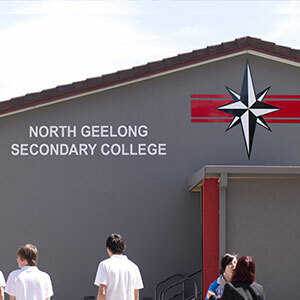 Safe and responsible use of electronic media (including the internet and other devices such as mobile phones) is required of all members of the North Geelong Secondary College community. Appropriate use of the internet and electronic media is explicitly taught at North Geelong Secondary College and we ask parents to reinforce this at all times. Bring your iPad or approved device to school every day, with the battery fully charged and ready for use. Store your iPad or approved device securely always, and in your College locker during recess and lunchtime breaks, etc. Keep your iPad or approved device in its protective case or bag. Being given 24-7 access to a iPad or approved device is a privilege, and you must care for your device at all times and use it responsibly. All students are expected to abide by the College’s Acceptable Use Policy. In class, the iPad or approved devices will be used at the discretion and under the direction of the classroom teacher at all times. Students must take their iPad or approved device to every class, except when advised by a teacher not to do so. At school and outside of normal class time (i.e, in the library etc) the iPad or approved device can be used to complete homework, revise assessment tasks, undertake research and participate in further online learning etc. Whilst at school, your iPad or approved device must be used for educational purposes only, unless students are specifically directed to do so by their teacher. Students should always undertake safe and responsible use when accessing social and electronic media.